It's time for another sketch challenge! 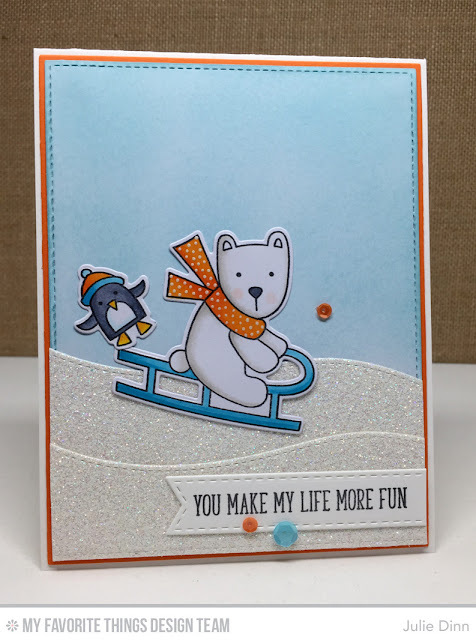 I inked up the new Cooler with You stamp set from the Cooler with You Card Kit. I stamped the images on X-Press It card stock and coloured the images with Copics. The hills were die-cut with the Hit The Slopes Die-namics. Such a cute card! I love the adorable images in this kit!